Many sports teams have managers that either cannot play because of an injury, or just don't enjoy playing. Seniors Madisen Hanson, Kaylynn Moctezuma and junior Rylie Borgerding are the managers for the Valley Heights High School football team. Seniors Connor Nolte, Carter Popejoy, and junior Wesley Denton film the games for the Mustangs. “Filming the games and traveling with the rest of the managers to the game was never a waste of a Friday night.” said Sr. Connor Nolte. Both groups travel to the away games and are a great help to the coaches and players. Other people that you will see under the Friday night lights may not be as big as the players on the field, but they are just as important. This group is made up of kids from the Valley Heights Elementary School. 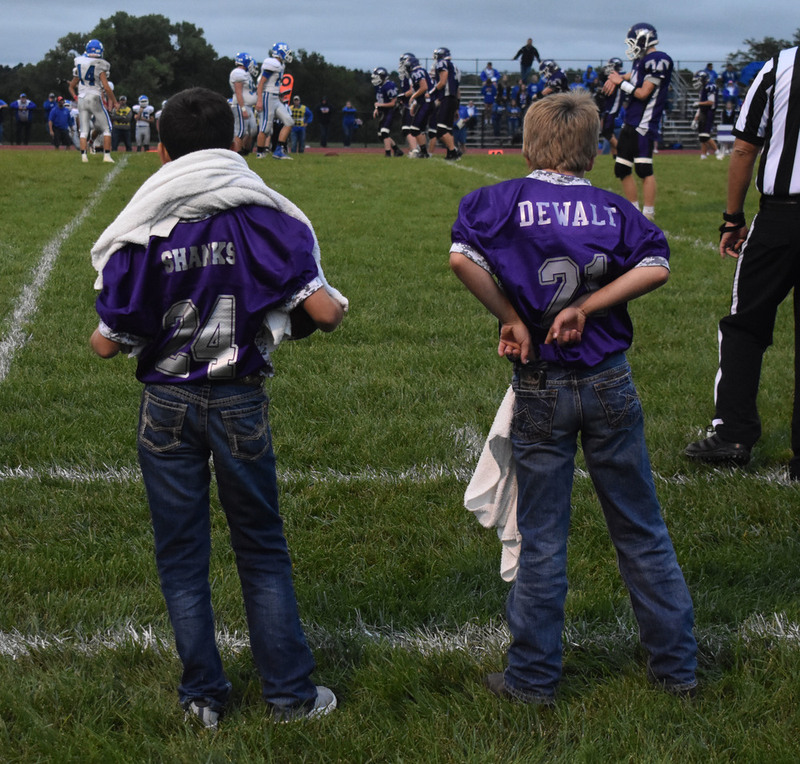 Mack Shanks and Jaden DeWalt are the little/big helpers that make an effort to go to every game, to help the coaches and the players throughout the game. 6th grader Mack Shanks says, “The coaches and players were always nice to me, and it was fun being on the sideline helping during games.” These hard working students quickly become a team favorite when they are always at your side with a towel and a water bottle when you need it. Helping introduces individuals to the game of football. It may even give them a chance to learn skills needed for everyday life.